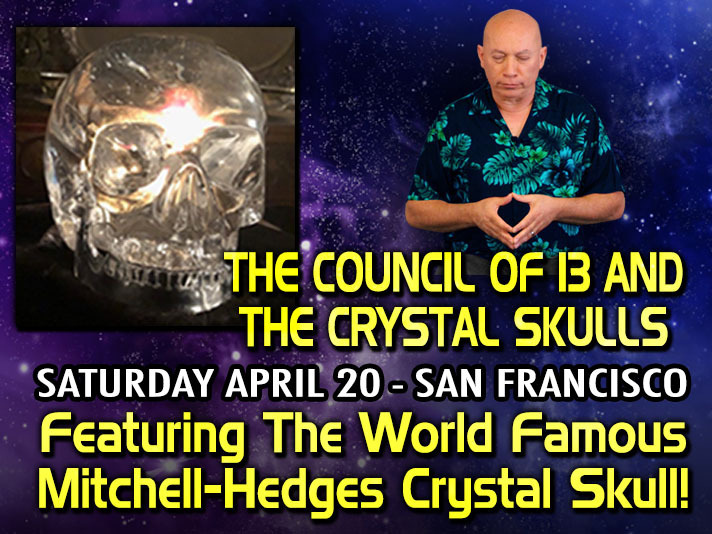 Bashar returns to San Francisco for The Council of 13 and The Crystal Skulls! Bashar discusses the idea of The Council of 13 and its relationship to our earth as well as interdimensional consciousnesses. Bashar will delve into each of the Crystal Skulls and their connections to energies here on our world, as well as other civilizations off-planet, as we accelerate forward in our evolution towards becoming The Sixth Hybrid Race. 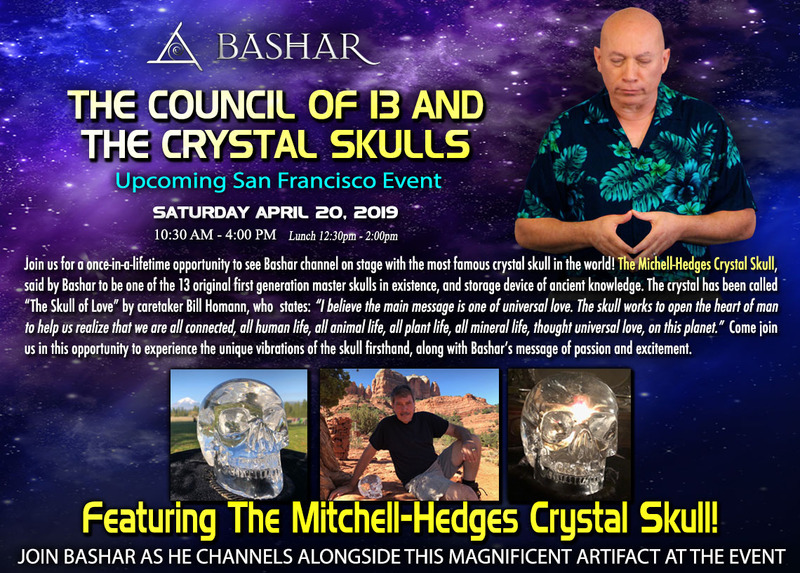 Bashar channels alongside the world famous Mitchell-Hedges Crystal Skull in this once-in-a-lifetime event. Tickets on sale now for $140. All Ticket Sales Final. Ticket available at the door on the day of the event.